Named after its distinctive call, the cuckoo is renowned as a harbinger of springtime. Cuckoos are equally notorious for their habit of laying their eggs in the nests of small songbirds and allowing the parent birds to raise the outsized cuckoo youngster. The loss of marginal land or wetlands through land use change is the chief threat to the cuckoo. With their slim body, pointed wings and long tail cuckoos resemble a small bird of prey and are often mobbed by small birds — perhaps because of this, but possibly because of their parasitic behaviour. Both sexes are blue-grey above and on the breast, with striking dark bars on white underparts. Some females have a different form, which is rufous brown above and barred white below. Young birds are grey-brown and heavily streaked. Cuckoos spend the winter months in Africa, returning in springtime to breed in Europe. The males start to call as soon as they arrive at their breeding areas, and because the call is so distinctive and familiar, the cuckoo obtained a reputation as a harbinger of springtime. The female’s strange bubbling call is part of the courtship ritual with her mate. Cuckoos are brood parasites, which means that they select the nest of a songbird and lay their egg in it for the small bird to tend. The female removes an egg from the host’s nest before laying her own. When it hatches, the much larger cuckoo chick simply pushes the remaining eggs or chicks out of the nest, and is fed on large caterpillars by the compliant foster parents. Various host species are used in this way, such as dunnock and reed bunting, although the meadow pipit is easily the most frequent victim in Ireland. A single female can lay between 10-25 eggs in different nests, and each female seems to target a preferred host species. With a good view, the cuckoo cannot be mistaken for anything else. Yet at distance or in flight, the cuckoo can resemble a small bird of prey such as kestrel or sparrowhawk. The slate grey back and breast and slim pointed beak help to separate the cuckoo immediately. A useful pointer is that when a cuckoo lands on a post or bush, it can often seem very ungainly, with its long wings drooping as it struggles to get its balance. The best time to see a cuckoo in Northern Ireland is in April or May soon after they have arrived from Africa. In these months, cuckoos will be calling constantly and can be seen calling from the top of a bush or fence post. Cuckoos can be found in many different types of habitat, but are most frequent in the rough, marginal land of western Northern Ireland. A regular site in the east is Murlough National Nature Reserve in County Down. Although no full survey has been undertaken, the cuckoo is thought to be declining in Northern Ireland and has apparently disappeared from many former haunts, especially in the east. Its distribution largely follows that of the meadow pipit, which is the main host species. A decline in meadow pipits in intensively managed farmland would therefore have an effect on the cuckoo. The cuckoo is protected under the Wildlife (NI) Order 1985. Its population has declined by between 25 and 50 per cent in the past 25 years. It is included on both the Irish and UK Birds of Conservation Concern lists. Habitat loss due to agricultural intensification or development pressure has certainly contributed to the current decline and remains a threat to both the cuckoo and its host species. 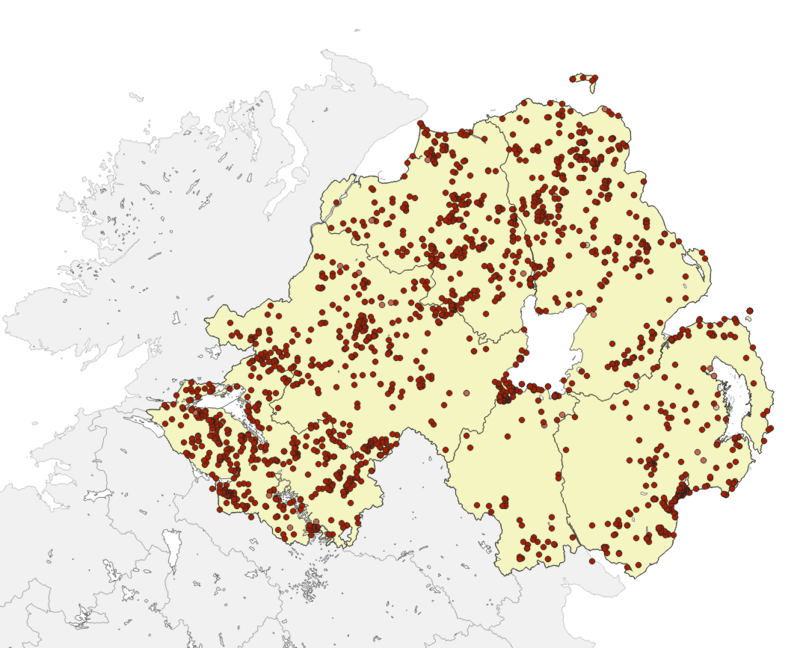 Several Northern Ireland Habitat Action Plans provide actions relevant to the conservation of cuckoo habitat. The status of the cuckoo will be surveyed and monitored and appropriate conservation action undertaken if required. Farmers and landowners are encouraged to apply for participation in the Countryside Management Scheme and to manage farmland according to Countryside Management Scheme prescriptions. Payne, R.B. (2005). The cuckoos. Oxford University Press, Oxford.